The financial and subsequent euro crisis have had dramatic consequences for people’s lives and finances. Not only have many people lost their jobs or experienced a fall of income, the value of their assets – financial or nonfinancial – has been affected as well. The importance of the latter is often overlooked, but assets – such as a home, a bank deposit or an equity portfolio – provide a distinct value to the owner that supplements the benefits of income. Income may allow families to escape poverty and maintain a certain standard of living but assets can generate longer-term stability as they create a financial buffer for emergencies or retirement. Assets can also be used to pay for education and therefore increase future income and standard of living. 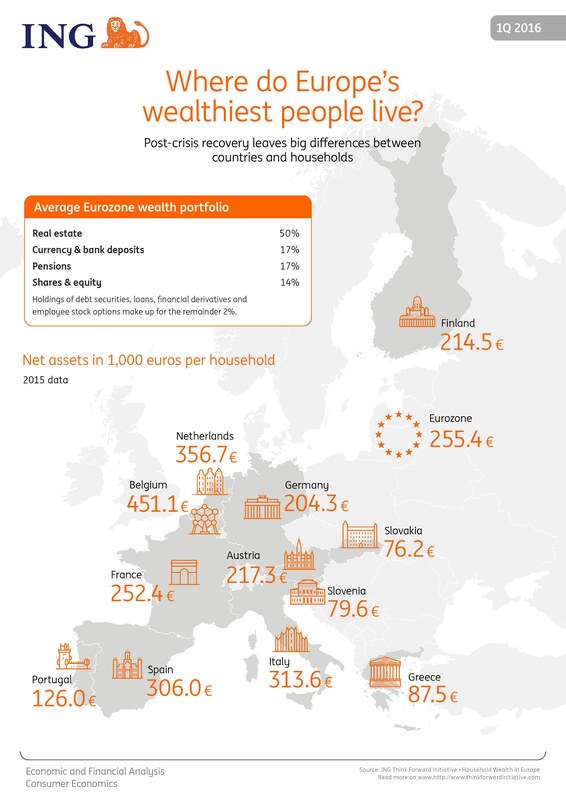 This paper looks into the development of households’ assets and liabilities (‘wealth’) in a number of European countries prior to, during and after the crises. The paper takes stock of the main developments and highlights striking differences between households in various countries. Such differences cannot always be explained easily by one or two specific factors and often are the result of a complex set of demographic, institutional, financial and cultural factors.